Â Here’s a short and easy tutorial which will guide you through formatting a USB thumb drive, pen drive, flash drive or USB drive as you call it. I know most of you know how to do this. But recently I was surprised to see my friend struggle when I asked him to format his pen drive in my pc when he had come to my place. I asked him “How do you usually format your pen drive?” He said, “I do it using a software”. The shocking part was that he wasn’t aware of the format option that is available on right clicking on the drive. Well, here’s a tutorial if you didn’t know how to format your drive. 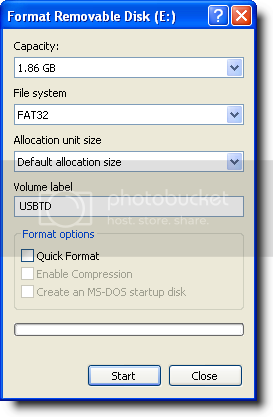 Now, Select the File System that best suits your needs, and give the drive a name in the Volume label field. I would prefer NTFS. 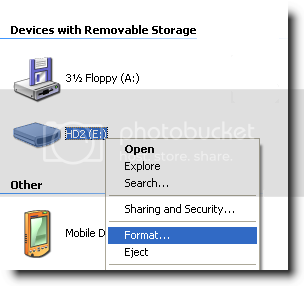 Click Start to format the drive. Click OK on the warning window. Now the formatting will begin, once done click OK. Your Pen drive is now formatted. Pretty easy isn’t it?